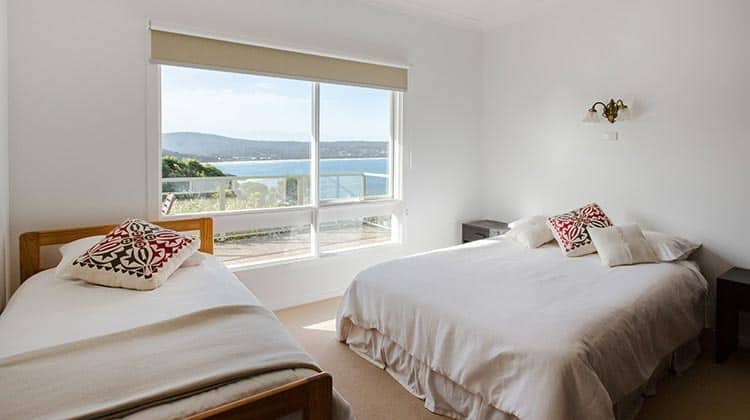 The location is superb – nestled on a headland between two bays – with spectacular views of the ocean, beaches and rocky headlands on one side and Eden’s picturesque harbour and wharf on the other. 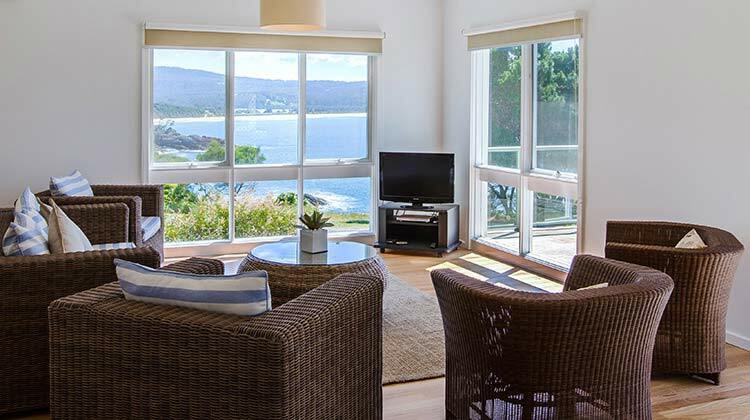 Watch the sun rise over the ocean and set behind the mountains and Twofold Bay. 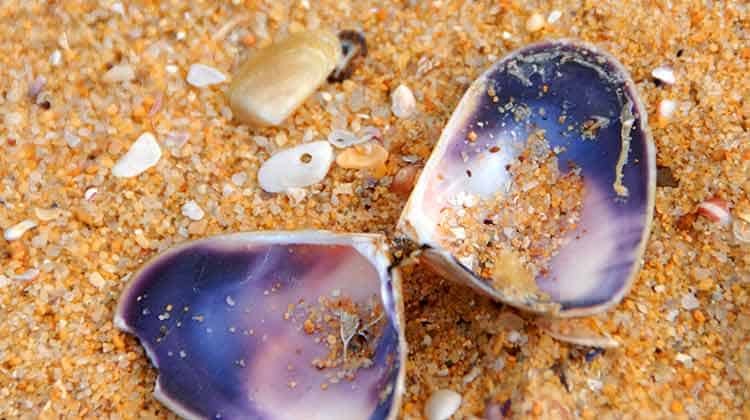 Need to stay connected on your getaway? We now have FREE UNLIMITED Wifi (plus good 4G mobile reception). 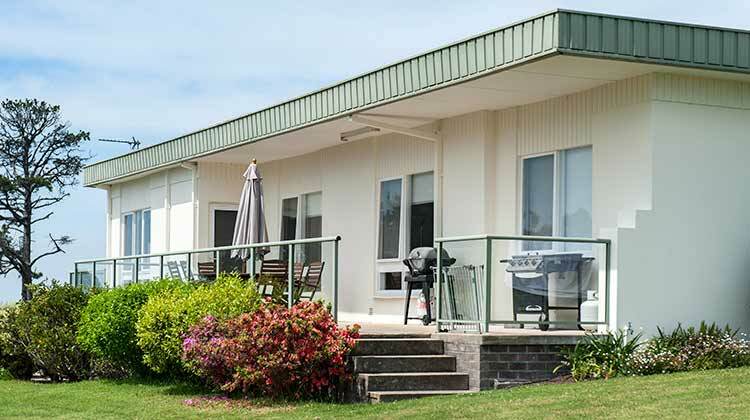 Eden Oceanview is a bright and spacious, fully self-contained beach house, ideal for those wishing to escape the hustle and bustle of busy lifestyles. 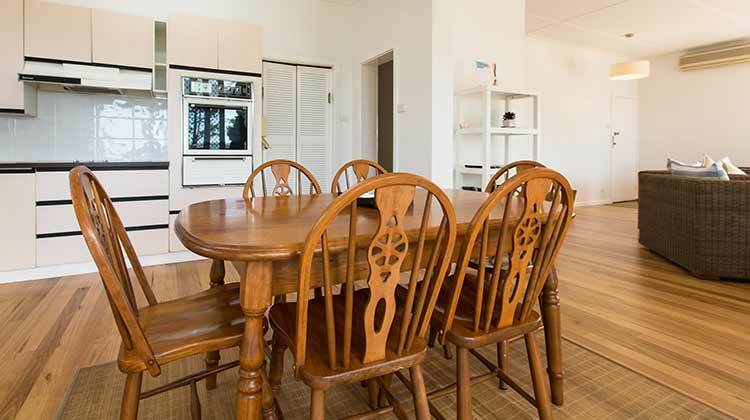 The house is within easy walking distance of beaches, shops, wharves, cafes and restaurants featuring the fresh local seafood that Eden is famous for. 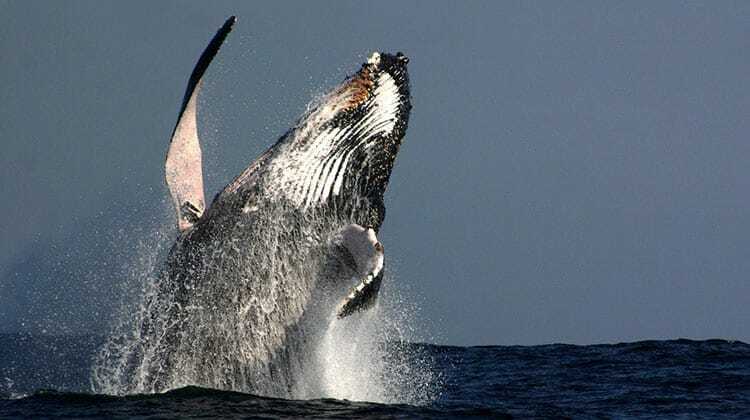 Eden Oceanview is also the perfect base to discover the natural beauty of Eden’s stunning coastline – including whale watching in season. 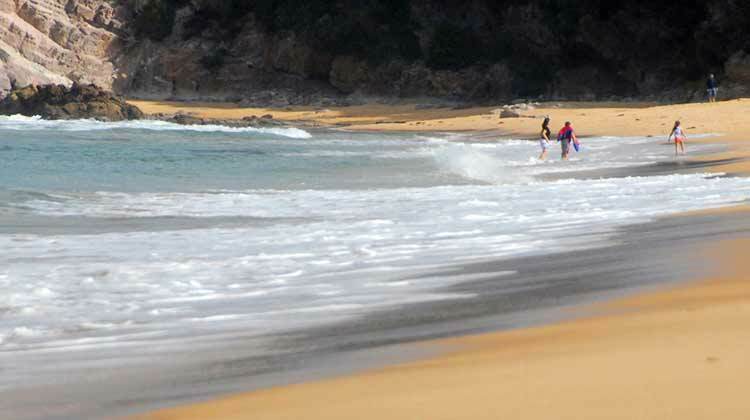 Eden’s beaches and Twofold Bay combine to offer a unique range of fishing, boating, diving and surfing opportunities. 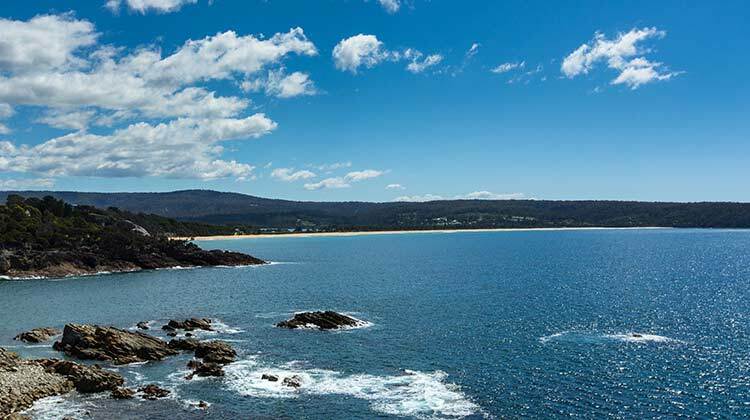 But away from the water there are also the forests and ranges of the local National Parks to explore and the wider Sapphire Coast region to discover. 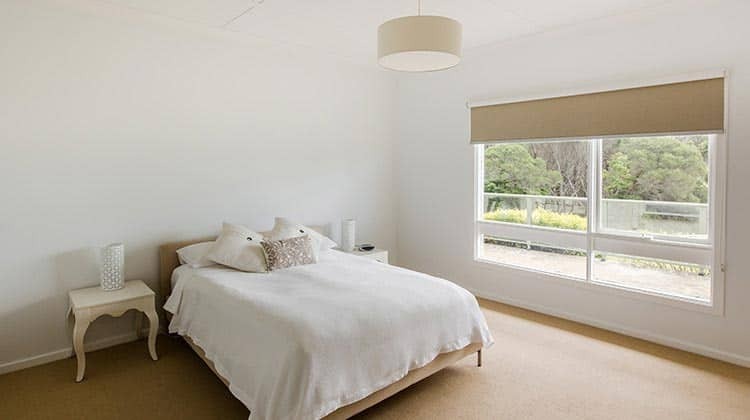 Rediscover the beauty of the beach house on your next Sapphire Coast holiday or getaway – and experience the best views in Eden.